Total Control Cooker - Heat Storage Cooker with greater flexibility! The introduction of Total Control option to the Traditional AGA Cooker means the cooker doesn't have to stay on all the time. 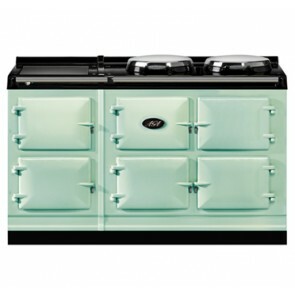 The Total Control AGA looks exactly the same as the Traditional AGA heat range cooker & cooks food with the same gentle radiant heat but the interior has advanced technology. 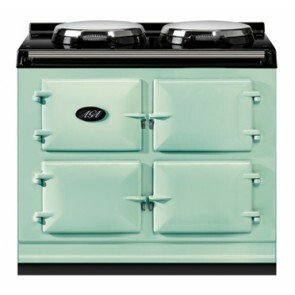 The Total Control AGA Cookers' run on electric which can be turned on & off when needed with fast heat times. The touch screen control panel allows for the hotplates and ovens to be individually controlled & turned on manually. Alternatively you can control your AGA with a remote control handset, you can also programme the cast iron ovens to come on for one or two times per day.AGA iTotal Control optional extra even allows for you to switch on your AGA via a text message from a mobile phone or web access on a PC, laptop, tablet or smartphone.